PLANET installs an average of one tower per week for customers throughout Gujarat & India. 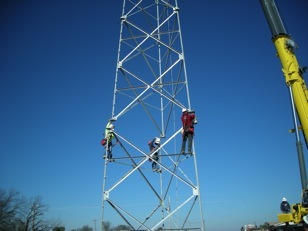 Our installation crews are all certified for tower safety and rescue, and we maintain all the insurance coverages necessary to take on large projects. PLANET installs monopoles, self-supporting lattice towers, guyed towers and roof-top cell sites. 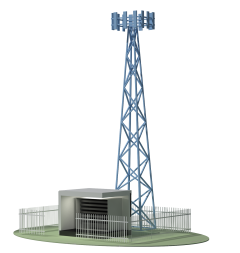 • All PLANET towers are designed to the latest TIA revisions. • PLANET grounds all tower sites according to the Standards and Guidelines for Communications Site. • PLANET technicians are ComTrain Certified for Tower Safety and Rescue. 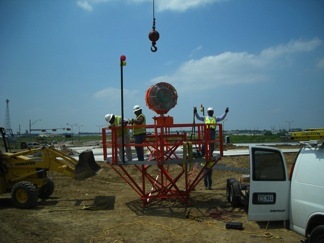 • PLANET employs a ComTrain Certified Tower Safety Trainer. • PLANET specifies and constructs towers from such companies as RELIANCE Tower, Site Solutions. • PLANET provides Project Management through every phase of the installation.